LJ Roberts, current Fine Arts Faculty, and American Artist, Fine Arts Alum, will both feature their work in Citizen: An American Lyric. 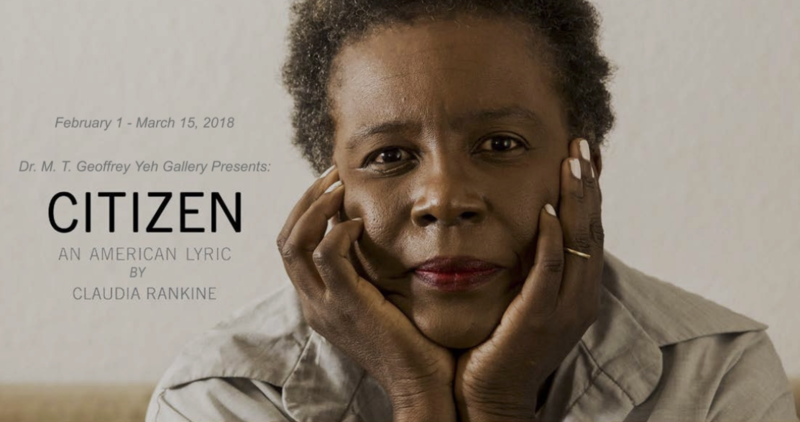 As part of the 2018 NEA Big Read grant received by St. John’s for Claudia Rankine’s Citizen: An American Lyric, the gallery is presenting work by twenty contemporary artists that expands on Rankine’s unique use of contemporary art as part of her narrative structure. Citizen is a multifaceted art and literary project programmed and curated by St. John’s University Art Gallery in collaboration with its English and Art Departments, the Queens Public Library, and the borough’s literary community. Claudia Rankine’s book-length-poem has been a publishing phenomenon. Shortlisted for the National Book Award, it “is an anatomy of American racism in the new millennium, a slender, musical book that arrives with the force of a thunderclap.” (Bookforum). In 2016, Rankine received a MacArthur Fellowship. The exhibition investigates the relentless racism of daily life that renders many “citizens” invisible. The exhibition will be on view from Monday, January 15 through Sunday, March 14, 2018. The public is invited to attend the opening reception on Thursday, February 1st from 4:00-7:00PM. A musical performance by SJU Faculty member Tyreek Jackson will take place at 5:30PM. Participating artists: American Artist, Nayland Blake, Suzanne Broughel, Nick Cave, Nancy Chunn, Sophia Dawson, Nona Faustine, Charles McGill, Vanessa German, Karen Hampton, Shaun Leonardo, Maria de Los Angeles, John Lucas/Claudia Rankine, Christie Neptune, Howardena Pindell, Joyce Kozloff, Stephanie Syjuco, Tiffany Smith, LJ Roberts, and Hank Willis Thomas. More information is available via St. John’s University.